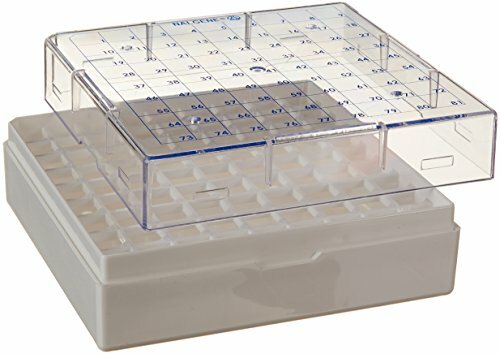 Plastic, Nalgene cryoboxes have unique numbered grid system for 2 mL ampules and one-way lid to prevent confusion. If you have any questions about this product by Nalgene, contact us by completing and submitting the form below. If you are looking for a specif part number, please include it with your message.